When the island's dormant volcano begins roaring to life, Owen and Claire mount a campaign to rescue the remaining dinosaurs from this extinction-level event. 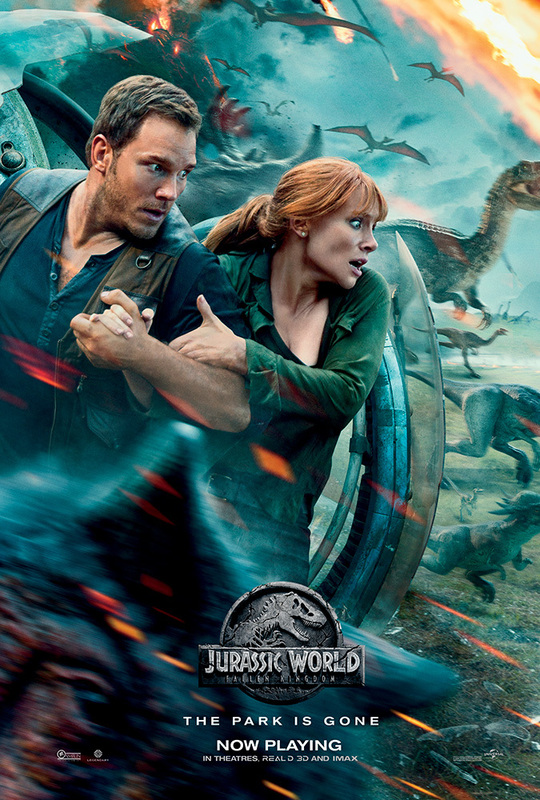 Intent on rescuing the remaining rampant dinosaurs that now roam free on Isla Nublar's vast landscapes, Owen Grady and Claire Dearing return to the now-ruined Jurassic World theme park, against the backdrop of an imminent and utterly devastating volcanic activity. However, everything will soon go awry, as formidable genetically-enhanced hybrids and a devious machination threaten not only to put a premature end to an otherwise noble rescue mission, but also to do more harm than good to the surviving prehistoric animals. Can the team save themselves and the precious primaeval specimens? It was a geat movie and had different plot from the other movies. Cant wait to see the next movie! This movie does have some big noticeable flaws but is still entertaining. I'd rank this as the second-to-the-last film in the franchise rankings. The main problem is the villains. Their motivations and actions seem to exist to further the plot rather than come off natural. This especially feels odd considering how straight murdery and cartoonishly evil they are. In the previous films, the antagonists were usually more nuanced, amoral and sometimes acting within legality. None of them were out to murder the protagonists. The severe switch in tone leaves the distinct taste of disconnect. The main antagonist is especially muddled in his or her execution. (The villain's identity is easy to predict, but since it is a reveal in the movie, I'll respect it and keep mum on details.) A lot of his dialogue is just exposition, including one reveal that comes off at the oddest moment in the film. Plus, the villain appeared to have access to other streams of revenue; he/shedidn't seem to need to take the risks of managing dangerous dinosaurs for profit. There are also a few other plot issues: Hammond having a business partner and fellow misguided visionary no one's ever mentioned before, one character just abruptly disappears from the film in the third act, and the supporting protagonists are separated from the leads for way too long. Still, there is a lot to enjoy. Pratt and Howard are both charming with some great lines. I thought the child actress did a pretty good job. I liked the nerdy guy who mentions the logical point throughout that they'll probably die. Even the villain does have one good scene with Howard and Pratt where he/she makes one sound argument. The film looks and sounds pretty good. Director J.A. Bayona has a knack with visuals and there are some nice shots in this. The mansion that takes up a good portion of this film, which is part gothic residential quarters, dinosaur museum, and underground lab, is a really impressive setting. The music really sets a tone, including a dramatic spooky choral piece for the most dangerous dinosaur. The Fallen Kingdom is at its worst when attempting topicality (the testosterone-fueled Wheatley refers to one of our heroes as a “nasty woman”) or when beefing up its crass plot. Jeff Goldblum will be reprising his role of Dr. Ian Malcolm.